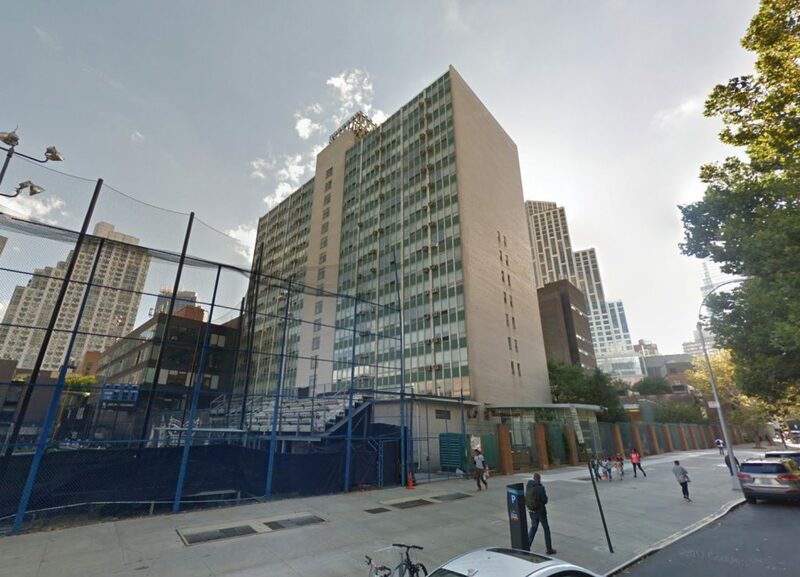 A new high-rise could be coming right next to the future supertall at 9 DeKalb Avenue. 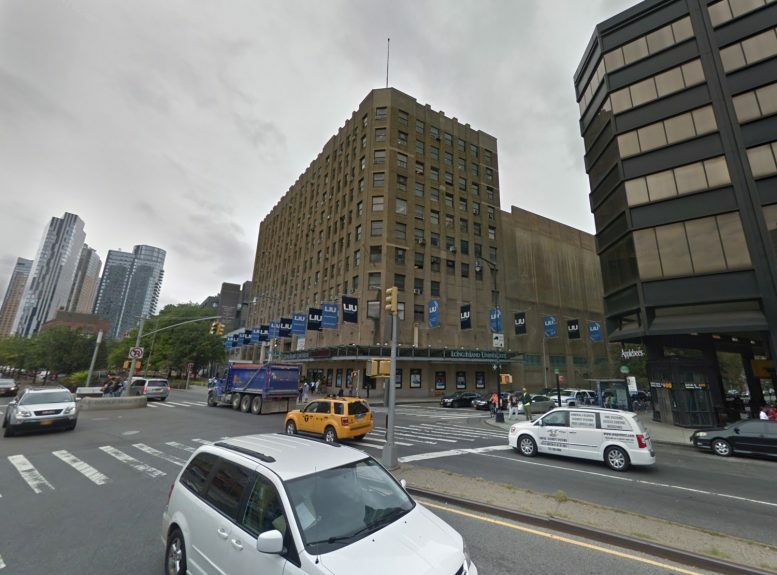 Permits have been filed for a 34-story residential building and parking garage at 61 DeKalb Avenue, on Long Island University’s campus in Downtown Brooklyn. The site is just a handful of blocks away from the A, B, C, D, G, Q, R, 2 3, 4, and 5 train, giving it near-immediate access to the rest of the city. Also in the neighborhood is NYU’s growing Brooklyn campus. LIU will be responsible for development. It’s unlikely that this development will be used as a dormitory, but it isn’t explicitly refuted. It could acquire the record for tallest dormitory facility in the country, rising to a height of 435 feet. It would also be the third highest educational building in the United States, and ninth internationally. The project would yield 600,200 square feet, with 370,960 square feet dedicated to dwelling units, and 183,530 square feet dedicated to community facility use, a two-story structure with 564-vehicle parking garage within the cellar, and offices and athletic playing field on the roof. The residential building creates 476 units, averaging 779 square feet apiece, which could mean rental use. Perkins Eastman Architects will be responsible for the design. The firm is also responsible for designing120 East 12th Street, a high-rise dorm for NYU in the East Village. 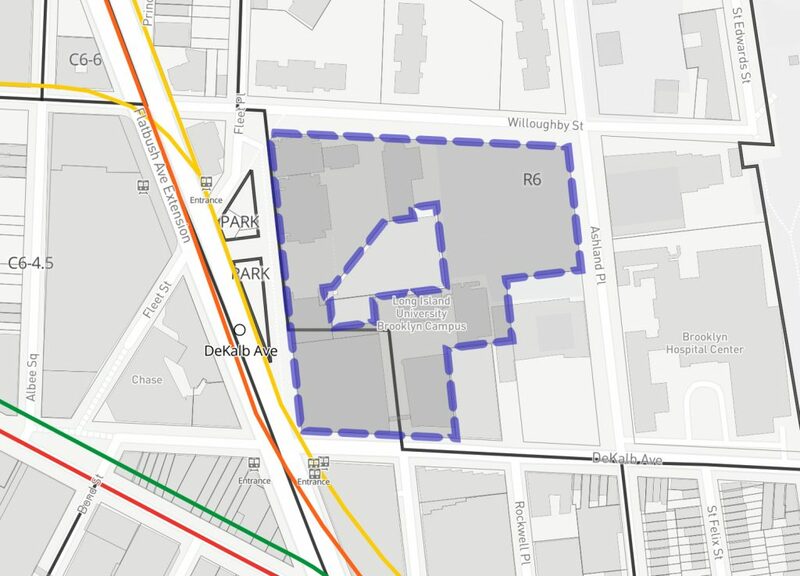 Demolition permits have not been filed, and since LIU owns most of the block, and it registers as one single lot, it’s unclear where the tower would rise. The estimated completion date has not been announced. 1 Comment on "Permits Filed for High-Rise at 61 DeKalb Avenue, Downtown Brooklyn"
Please pardon me for using your space: Thanks for taking me with you to somewhere, where I can touch developments.